Are you PET CRAZY? I am! I’m back from my travels, ready for a new semester to start, and happy to celebrate a brand new book just in time for the new school year. 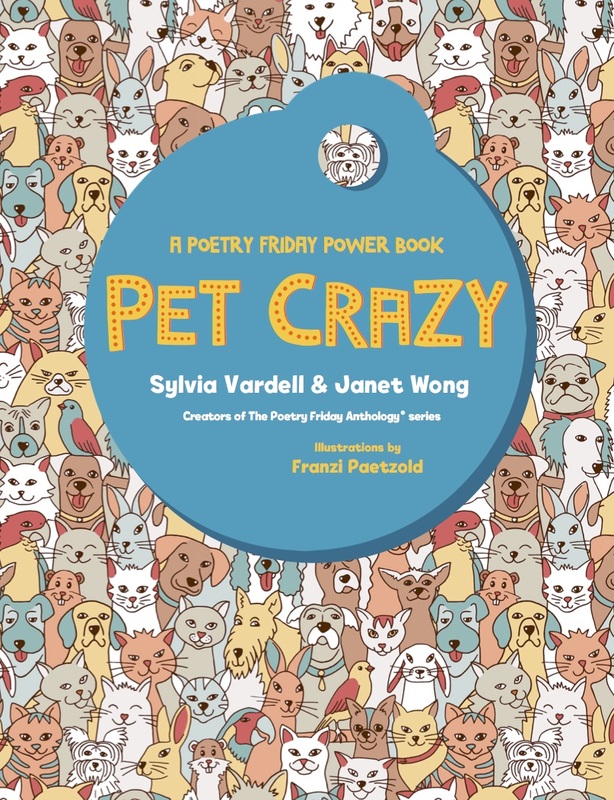 Please indulge me as I plug another collaboration with the wonderful, endlessly energetic Janet Wong, and the fabulous poets who collaborated with us on our latest book, Pet Crazy, a story-in-poems about wanting and getting a new pet (Pomelo Books, 2017). 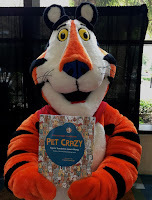 Just for fun, enjoy this hilarious video of Janet reading her cat poem from Pet Crazy to Tony the Tiger himself! 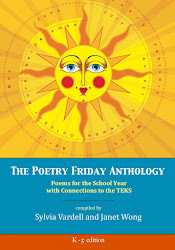 Thanks to these fabulous poets for their poems that “anchor” this book: Kristy Dempsey, Helen Frost, Janice Harrington, Eric Ode, Laura Shovan, Eileen Spinelli, Elizabeth Steinglass, Don Tate, Padma Venkatraman, April Halprin Wayland, Carole Boston Weatherford, and Tamera Will Wissinger. We’re also excited to feature new illustrations by German artist Franzi Paetzold, whom I just met in person during my travels through Berlin! 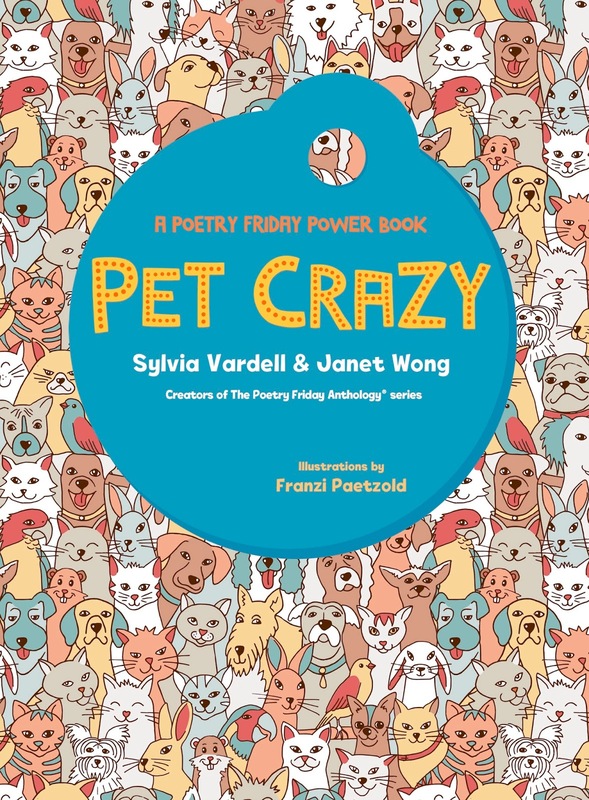 PET CRAZY is the third installment in our Poetry Friday Power Book series that weaves together poetry, activities, and resources for young readers and writers. Just like the two previous books, You Just Wait and Here We Go, our new book Pet Crazy features twelve PowerPacks that use creative activities to get children (K-3) thinking, drawing, reading, and writing about cats, dogs, lizards, rabbits, and more. Resources for children (as well as parents, teachers, and book club leaders) include “Hidden Language Skills” to sharpen language learning even further, recommended reading lists and websites, tips for reading aloud and writing, talking points, and places to publish. 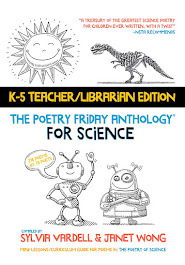 One of my favorite things about this book (besides the fun topic of pets that remind me of all the dogs, birds, and turtles we’ve had in my family) is the new, big size of this book—so easy for young children and their teachers to use, share, and enjoy. 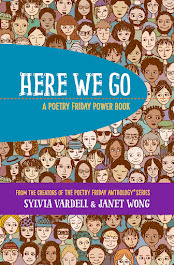 And I love all the layers to explore in this book-- the game-like drawing and thinking activities, the engaging poems that tell a story, the extra resources in the back for MORE reading and writing, and the subtle skills woven throughout for kids to notice and explore. 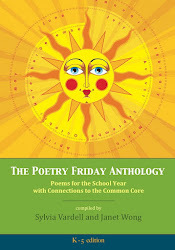 And all of this is arranged in a dozen "PowerPacks" or subsets of poems and activities that make a natural "mini-story" to read and discuss. 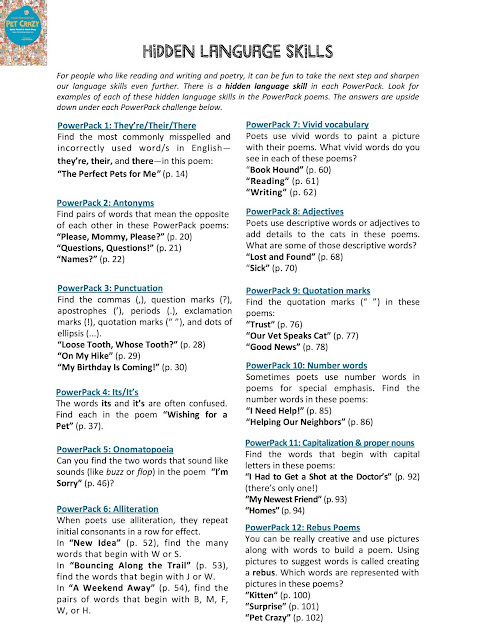 Let's look at one sample PowerPack (#8) that focuses on "found" poetry. Each PowerPack always begins with fun "PowerPlay" activities that get kids thinking, drawing, doodling, and ready to read and talk about poems, words, and language. 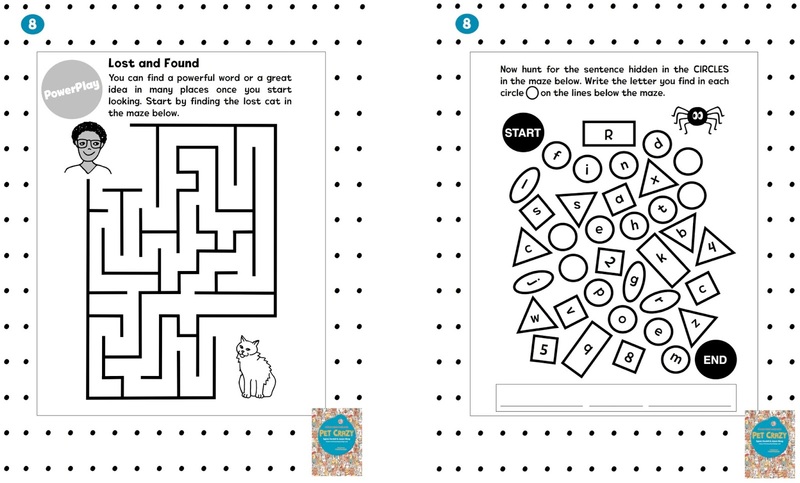 For PowerPack 8, we invite children to try two puzzles that get them skimming and scanning and hunting-- just like we do when we create "found" poems! Laura used the following text for creating her poem. See how she chose six key words and built her poem around those words-- and from the point of view of the lost cat! 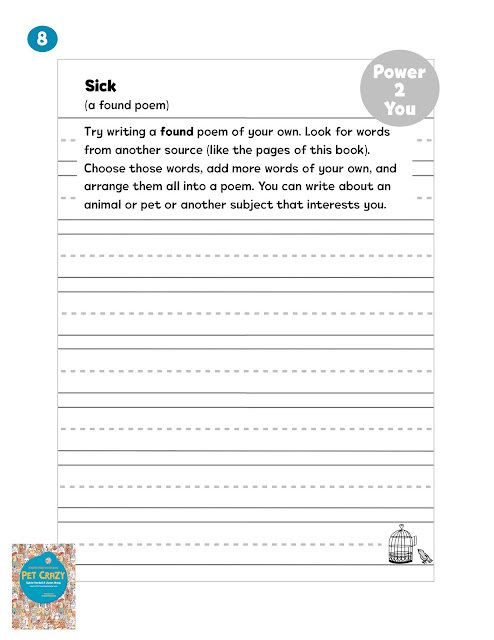 Next in the PowerPack is a response poem. 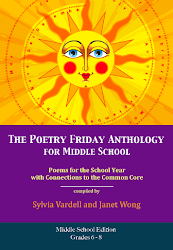 Here, Janet (Wong) writes a new, original poem in response to the anchor poem by another poet. 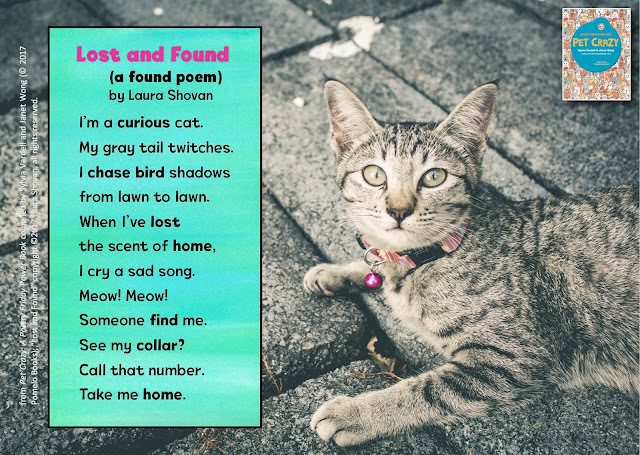 She uses Laura Shovan's poem itself as the root of her "found" poem. 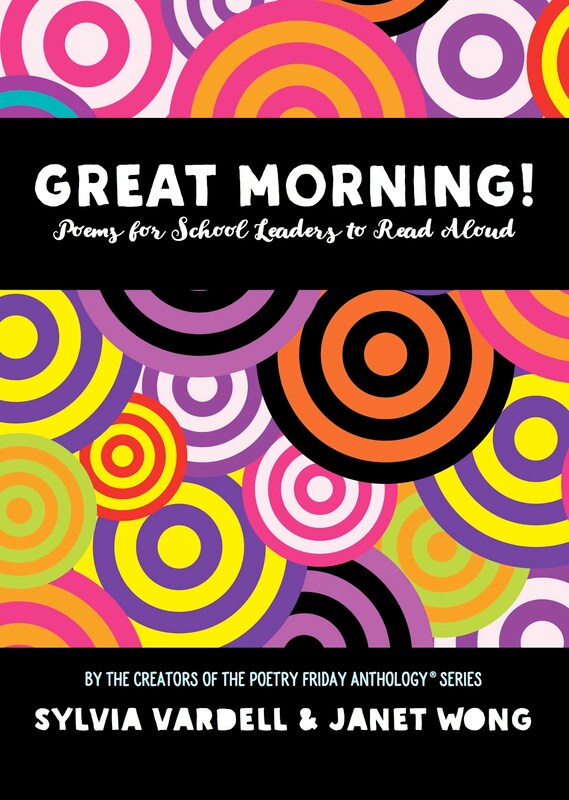 THEN, she follows with another new poem that we call a "mentor" poem because it leads to the writing activity that concludes the PowerPack. 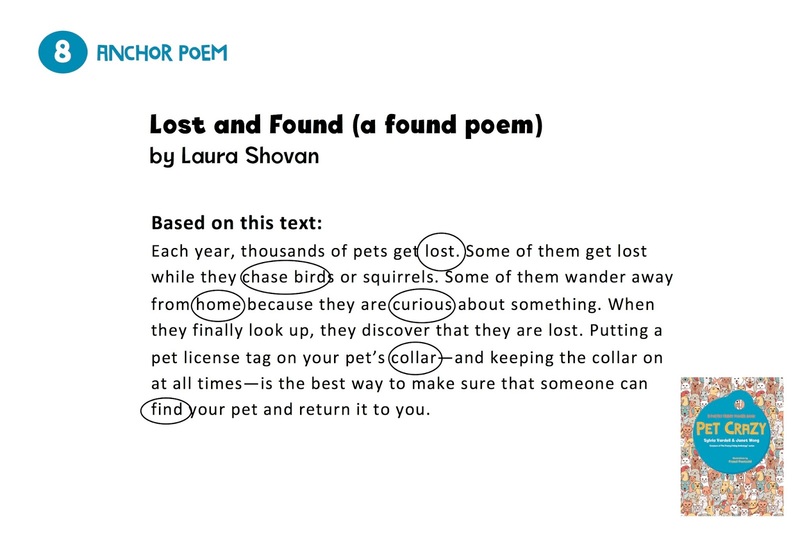 Here, she used text from a government website about pet care as the root text for her "found" poem. 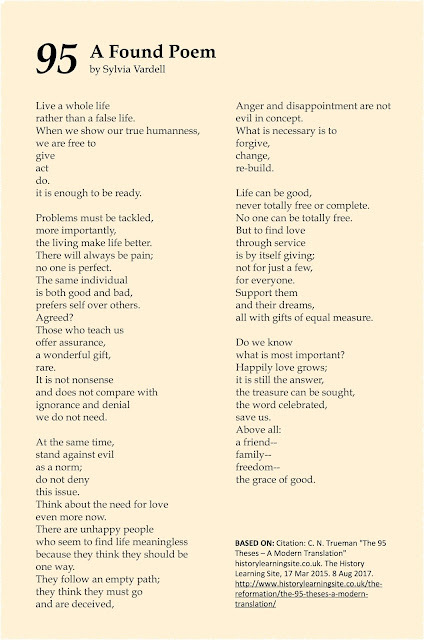 Here is the response poem and mentor poem created by Janet-- these two poems work together with the anchor poem to tell a tiny bit of the story, while moving the book's whole plot forward too. 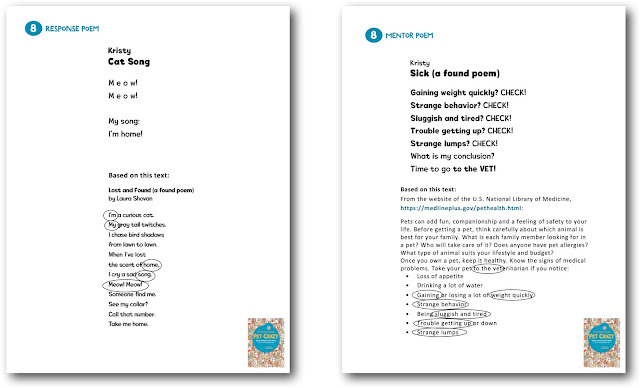 Every PowerPack ends with an opportunity for kids to WRITE by building on everything they've been thinking about and reading about in the three poems that are the building blocks of each PowerPack. 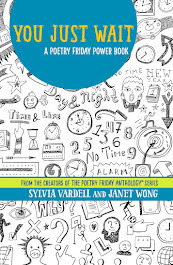 As the book continues, each PowerPack follows with more of the story, but with a new poem focus (like rhyming, questioning, using repetition or alliteration, understanding stanzas, conveying emotion, employing dialogue, and trying found, acrostic, list, and free verse poems). Each time, there are different creative activities to jumpstart the PowerPack as well as an opportunity for children to try writing poetry at the end. 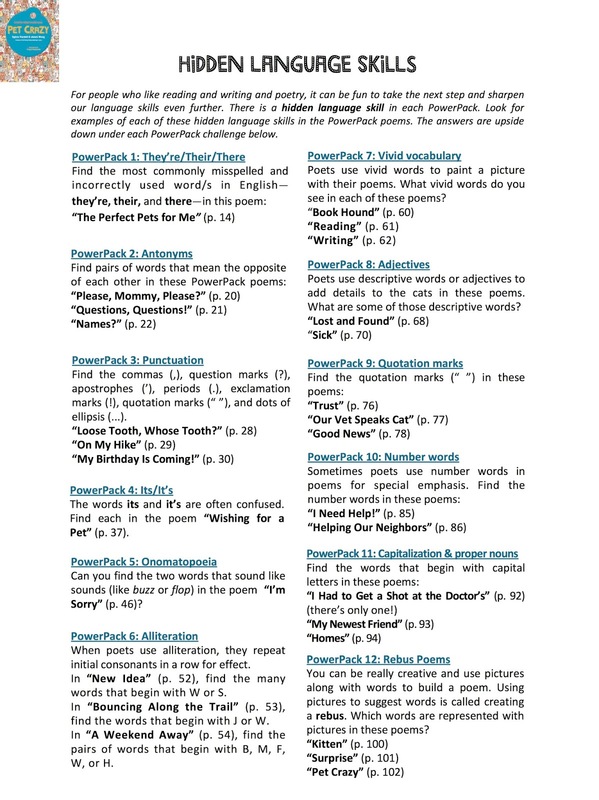 Finally, there's a bonus at the very end of the book, with a look at some of the "hidden" language skills commonly taught in the primary grades and all tucked away in the PowerPack poems throughout the book. For example, kids can hunt for antonyms, commonly misspelled words (like they're/their/there), adjectives, punctuation, capitalization, and more (and with the answers provided too). I was very excited to have an advance copy of Pet Crazy with me at my conference in Poland and add it to the "little library" created out of this old phone booth just outside the conference center! 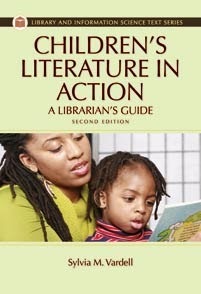 It's so fun to think about a young reader in Poland discovering our little book! 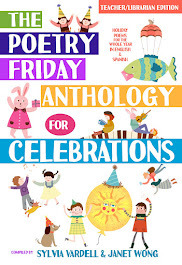 If you would like to see more sample PowerPacks and learn more about Pet Crazy, check out this week's blog post by the wonderful Jone MacCulloch who is also hosting Poetry Friday over at Check it Out. 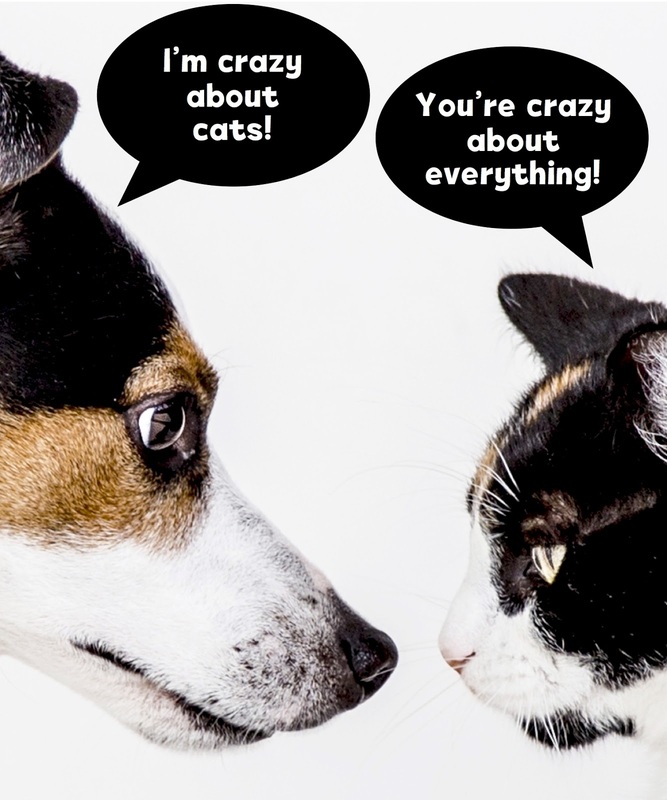 Order your copy of Pet Crazy now and let us know what you think! We're crazy about it! 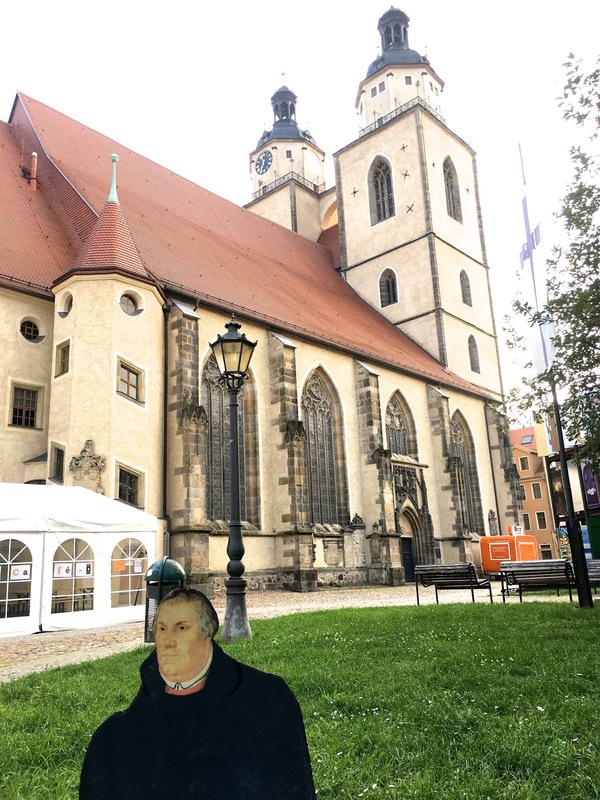 So, I downloaded an English translation of those 95 theses (originally in German) and worked on creating a "found" poem using those words from Luther so many years ago questioning the status quo. I wanted to use at least one word from each of the 95 theses (so at least 95 key words!). It took some doing, but I made something that turned out to be surprisingly meaningful for me. 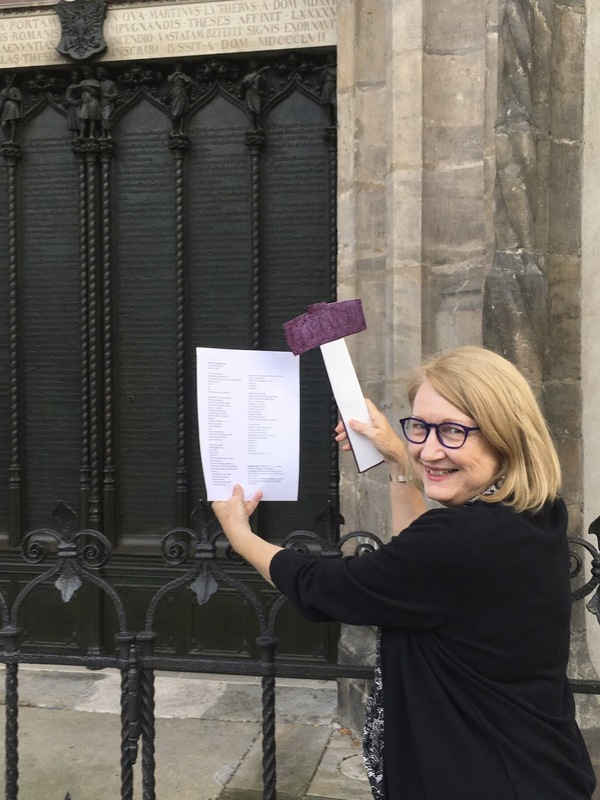 I "hammered" it to the door in Wittenberg where Luther nailed his original 95 theses. So fun and meaningful to do! Thought I might share it here too. 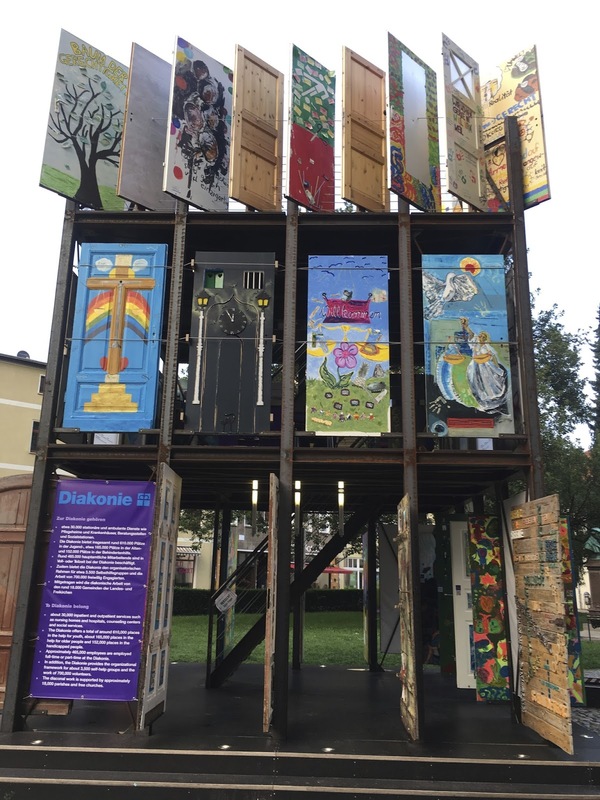 It was also cool to see that the German Lutheran church had sponsored an art exhibit of doors (more doors!) to focus on celebrating diversity and honoring those with special needs. Here is a glimpse at that exhibit made of many doors, too. 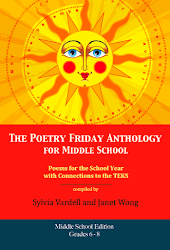 Now head on over to Kay's blog, A Journey Through the Pages, where she is hosting all our Poetry Friday goodness.